Summer is a time for sweet treats and Rocky Mountain’s June Skater of the Month, Easy as Pi, is just that. Pi can often be seen coming into scrimmage hauling a huge box of fliers for skaters to distribute, with her skate bag on her back and a smile on her face. She works tirelessly on her committees and has been extra busy recently revamping RMRG’s website. Pi’s amiable nature extends to the track, where her growing skill as a skater is remarked upon by everyone. 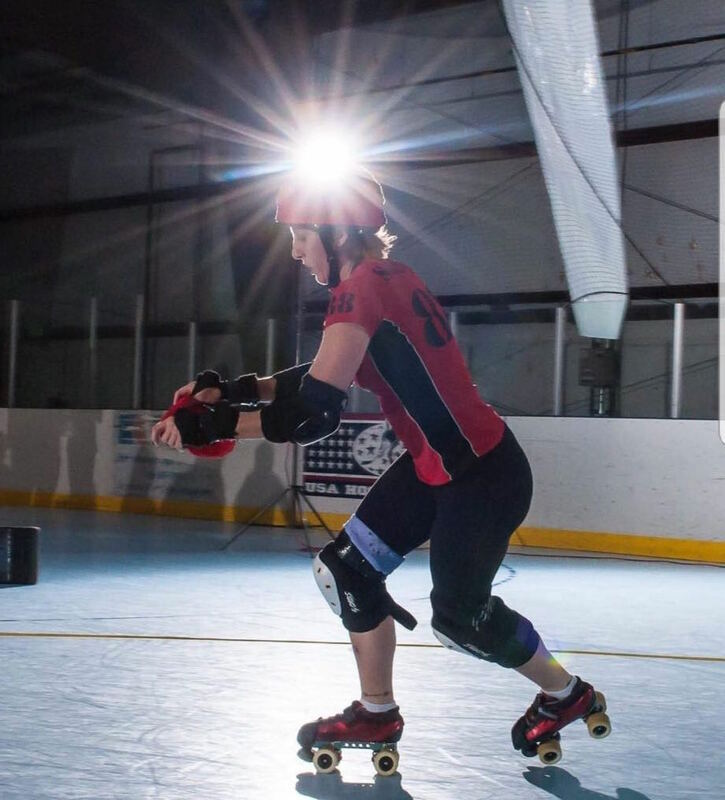 She skated for a short while with Free State Roller Derby in Maryland before moving to Colorado, and says that they had to hold her hand the first time she was on skates! She doesn’t need hand holding anymore though, employing her extensive limbs to great advantage while blocking or jamming. Pi is a brilliant mathematician, her hero is Emmy Noether, German born abstract mathematical theorist. 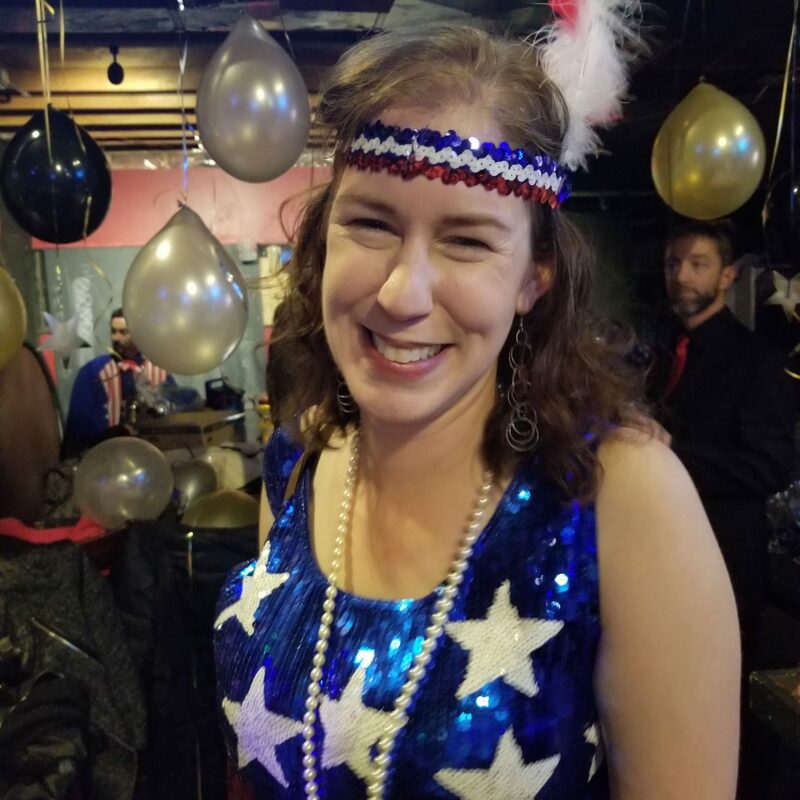 This penchant for geekiness made her an ideal pick for USPS, where she was drafted last year, and was welcomed with open wings by the Eagles who were delighted to add to their cadre of wheeled nerds. Pi and her affianced, have two dogs, Blueberry and Princess Leia.